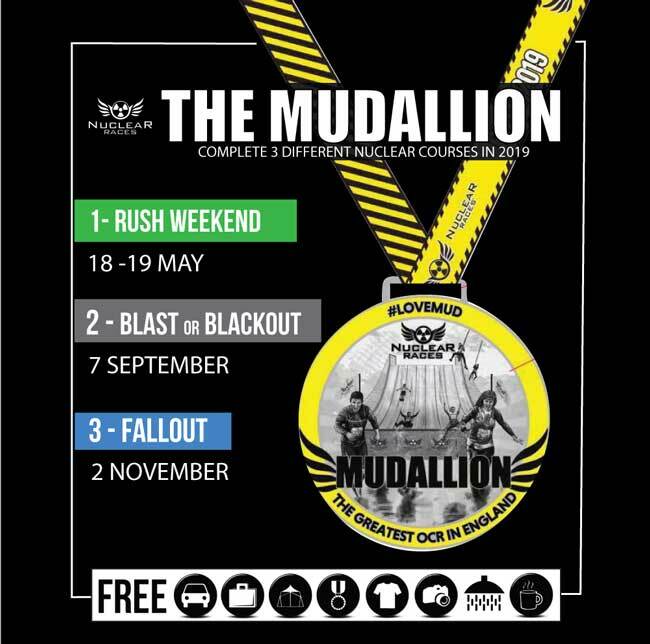 Blackout is 5km multi-lap obstacle loaded night race. 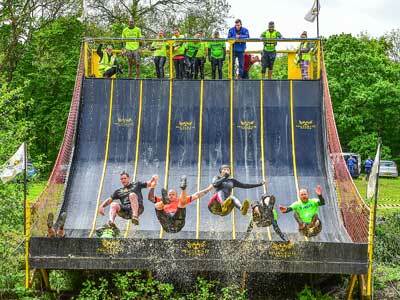 This race will launch you out of your comfort zone. It ‘ll lead you in unknown territories, testing all of your senses to the maximum as you negotiate endless & overwhelming obstacles by the light of a headtorch. 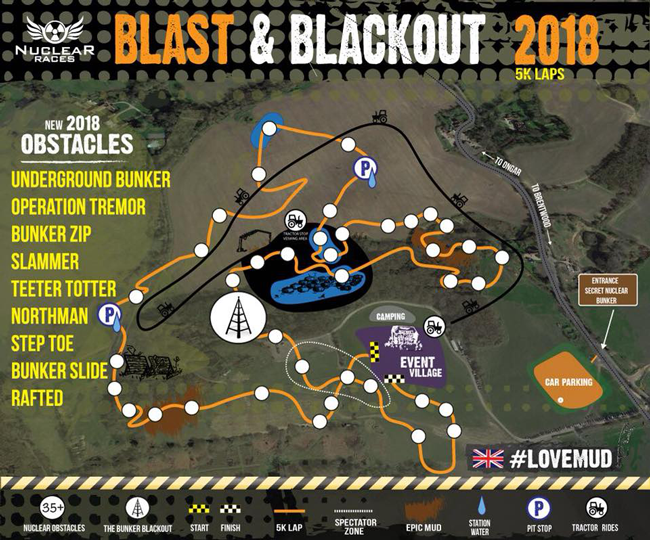 This course is designed to challenge some basic fears including darkness & heights as well as testing strength, endurance, agility, stamina & all round fitness in the harshest conditions & over the toughest obstacles. 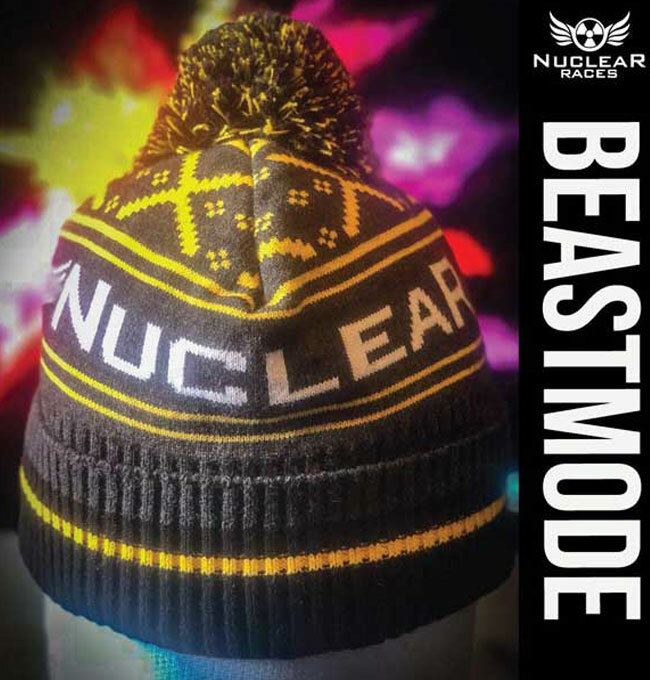 Determination, focus and a powerful mindset is needed to endure Nuclear’s night time challenge in the mud. Starting at sunset, this lap race moves quickly from dusk light into total darkness. Over 30 high quality obstacles, both natural and man-made. Free Wild Forest day pass & induction with every ticket.